Indulge your senses as you revel the sight of Shakey’s Php2018 Meal Deal. Stuff yourself and the whole squad with outrageously tempting treat from your favorite pizza chain. 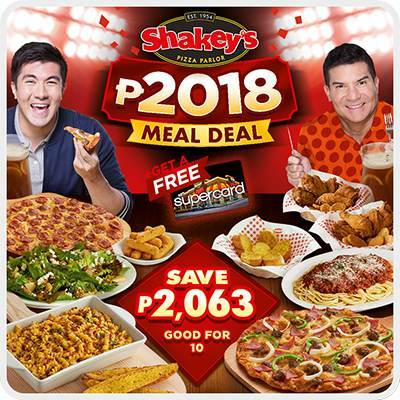 Shakey‘s Php2018 Meal Deal will surely excite the appetite and satisfy even the most discerning palates. Enjoy the festive meal for only Php2018– that is massive saving of Php2063! 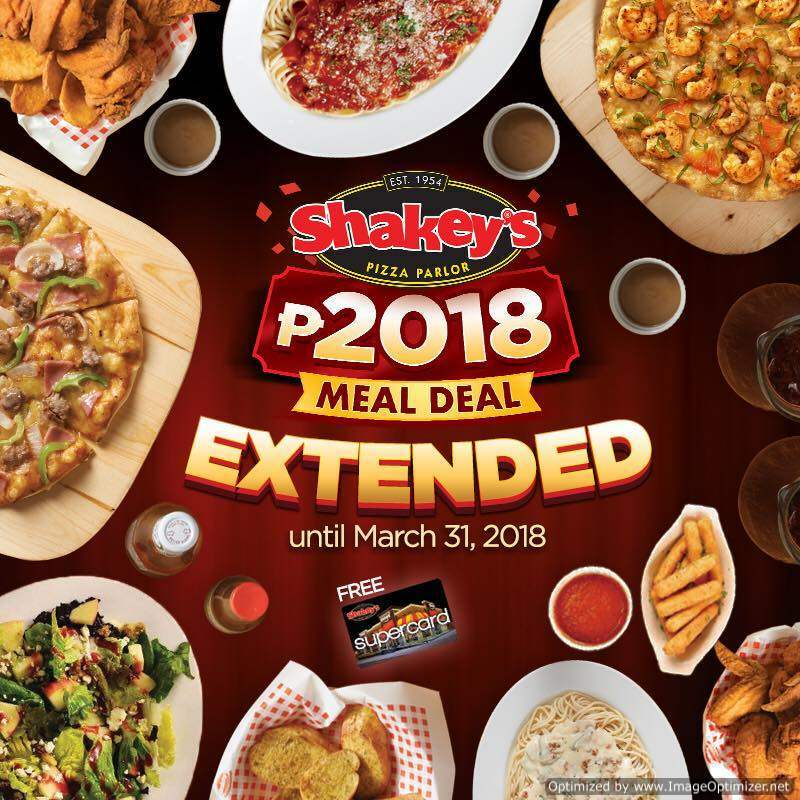 The restaurant offer also lets you get Shakey’s Supercard for FREE until March 31, 2018. 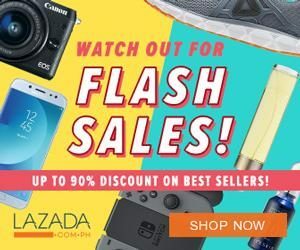 The promo is available nationwide via delivery, dine-in and carry out transactions from January 1 to February 28, 2018. For orders please dial the following numbers: for Metro Manila 77-777, for Cebu 254-7777, for Davao 222-7777, for Cavite 5467777 or visit their website, www.shakeyspizza.ph. You might also want to check out Gerry’s Grill Group Meal Deals if you wish to satisfy your cravings for Pinoy dishes. Click HERE for more information. Or, try out Shakey’s Lucky 777 and save as much as P580. The details are HERE. Visit their official Facebook Page for more information and details. 'shakeys menu promo 2018' - 'shakey\s menu group meals' - 'shakeys davao february 2019 promo' -Enjoy!